View our calendar to see upcoming events. Be sure the "check" the box for "District Calendar" to see all events and activities, including days off, conferences, etc. 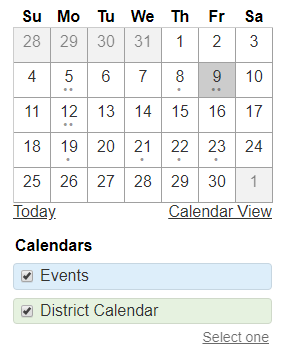 You can also view the district calendar in pdf format here.